First, there was Groot. Then there was Baby Groot. Now there’s… Toddler Groot? Whatever we end up calling him, the reborn Flora colossus from Planet X is back in this spring’s “Guardians of the Galaxy Vol. 2”, and now he’s a little bit older. 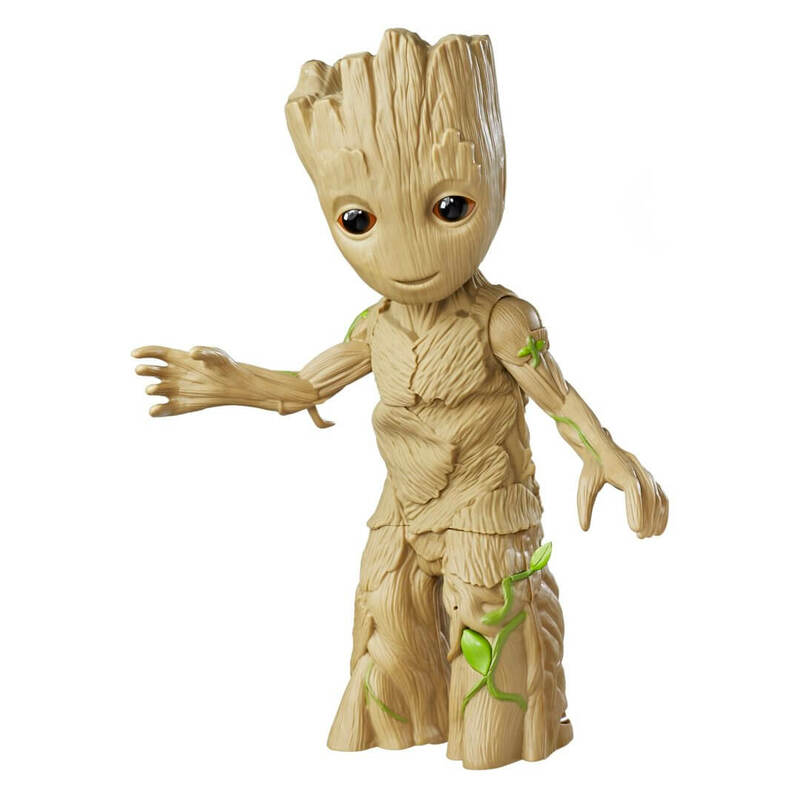 And of course, Marvel licensee Hasbro is getting a jump on the demand for Groot merchandise early this time around. Today the toy company unveiled the Dancing Groot figure from the upcoming sequel. 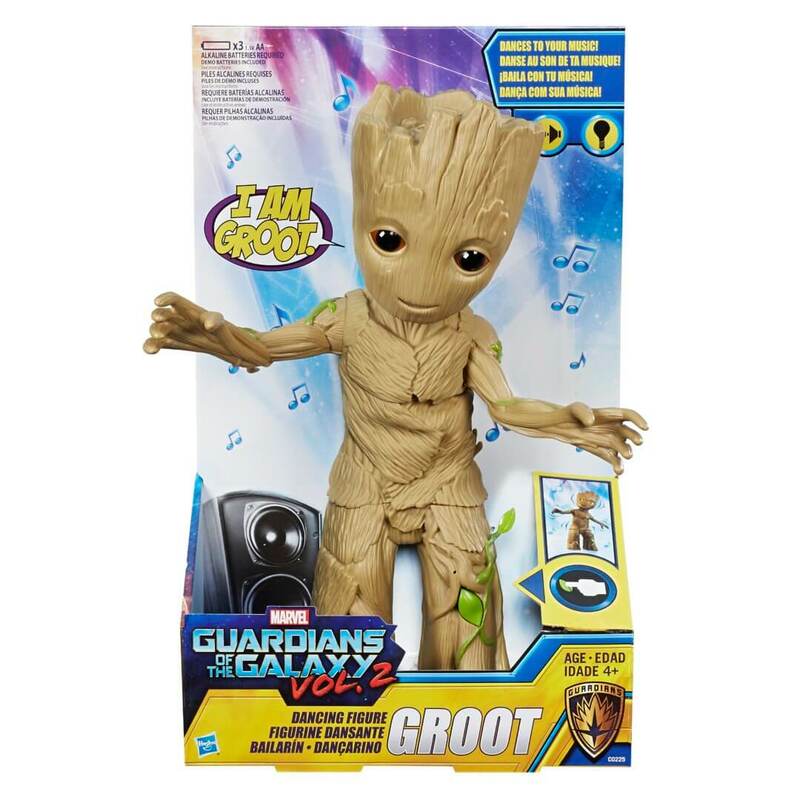 Watch as this 11.5-inch electronic figure lights up when it plays and dances to a music clip from the GUARDIANS OF THE GALAXY: VOL. 2 soundtrack. 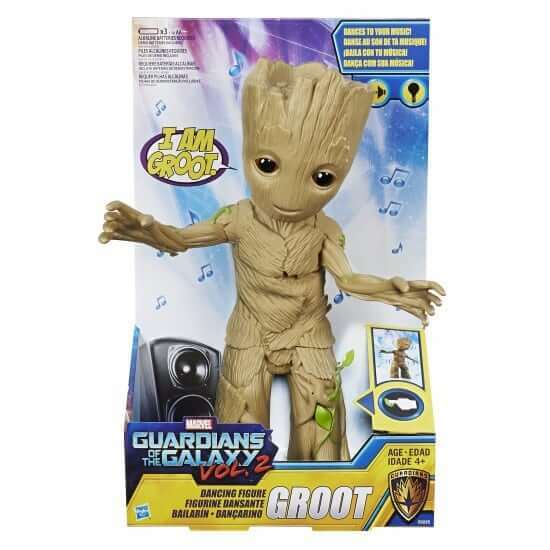 Turn on your own tunes and keep the beat going with DANCING GROOT, which can detect external music too. While your favorite jam is playing, GROOT’s eyes light up and his roots move to the music. “Guardians of the Galaxy Vol. 2” will be released to theaters nationwide on Friday, May 5th. The Dancing Groot figure will be available this spring from most major retailers.